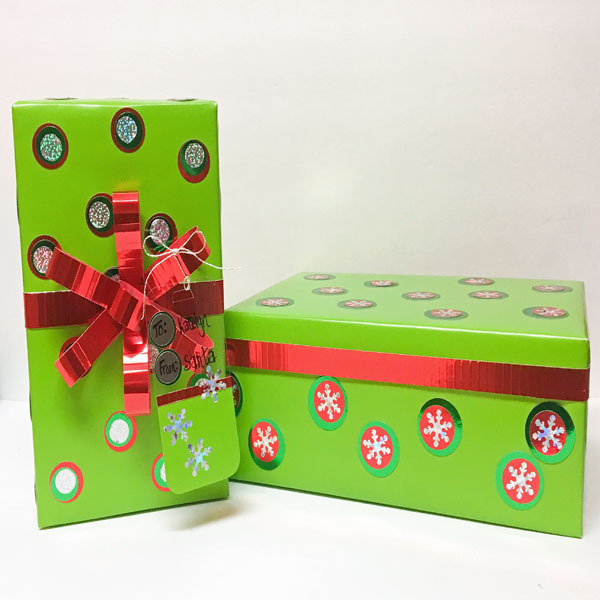 Project Description: Don’t just wrap your presents and add a bow; use Grafix products to decorate with some Bling! 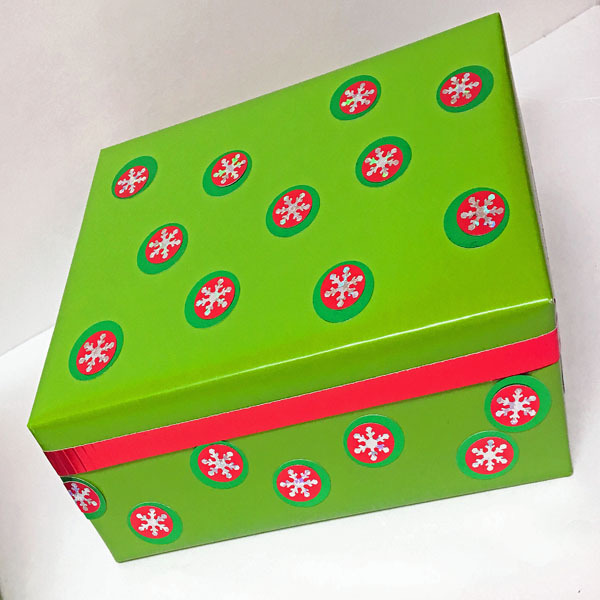 Wrap boxes with plain gift wrap. 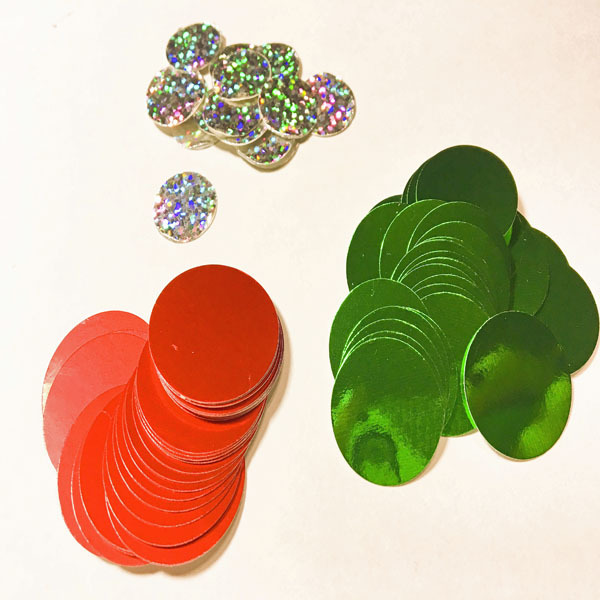 Punch 1 ½” circles from green Metallic Foil Board and 1” circles from red. 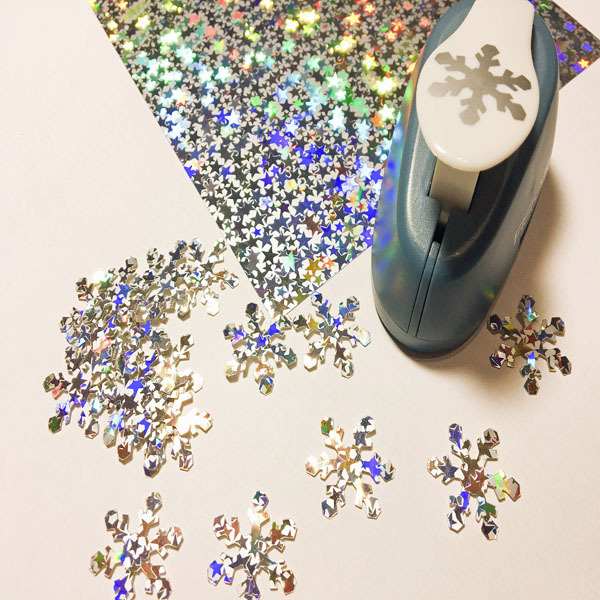 Punch snowflakes from Mini Silver Stars Funky Film. Hint: some punches work better punching from film side, some from the backside, try both to see which works best for your punch. 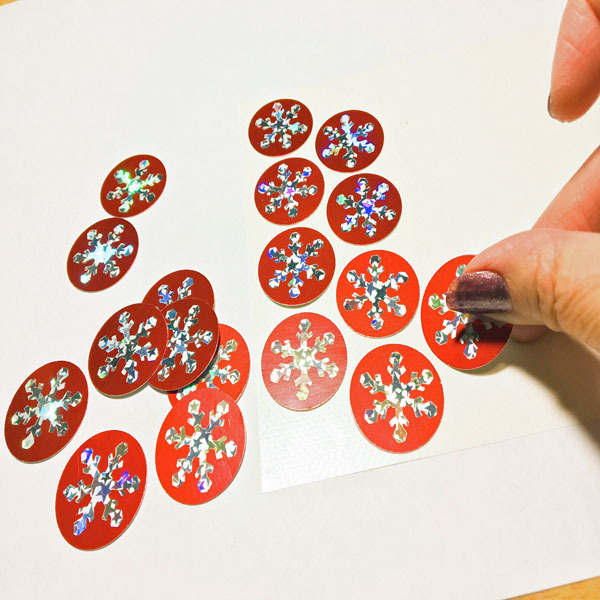 Peel off backing and adhere Funky Film snowflakes to the center of red circles. 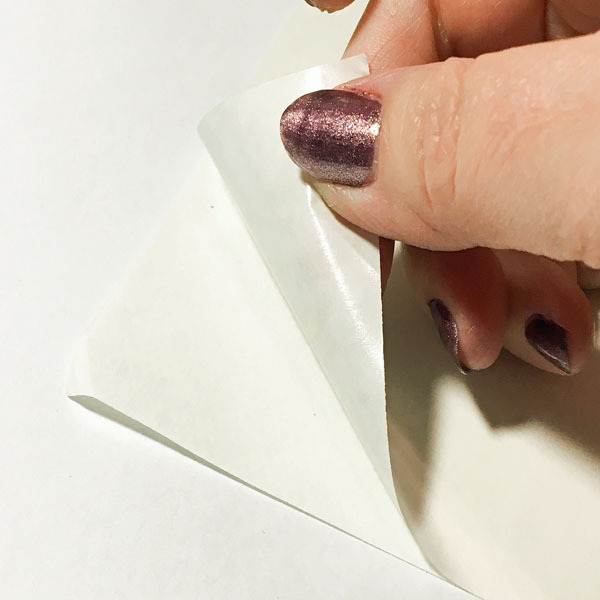 Peel the back corner of Artist-tac to reveal adhesive, keep pulling to reveal about 2/3 of the sheet and fold back the cover. 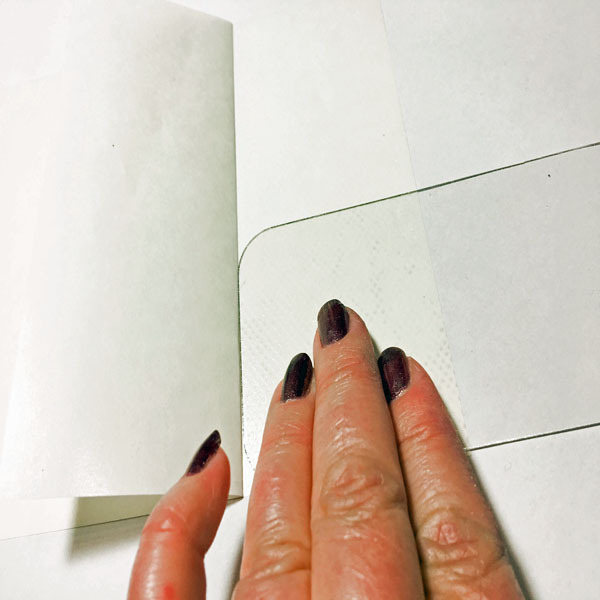 Place red circles on exposed adhesive, fold the cover back down and smooth with hand to transfer adhesive. 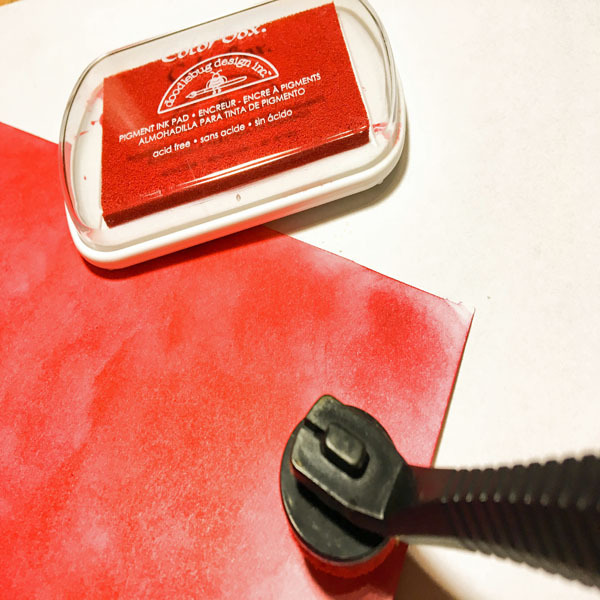 Expose more adhesive as needed to place all red circles. Adhere red circles to green circles. Repeat steps 5 and 6 with green circles. 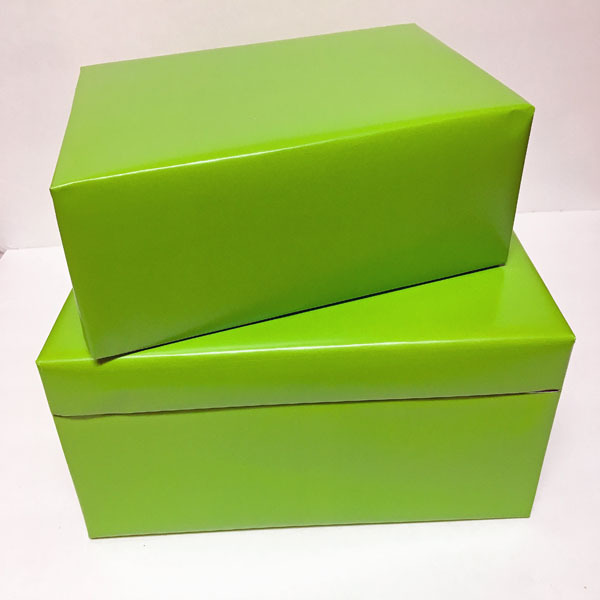 (Note: If you want the lid of one of the boxes to be removable, wrap the lid and base separately. 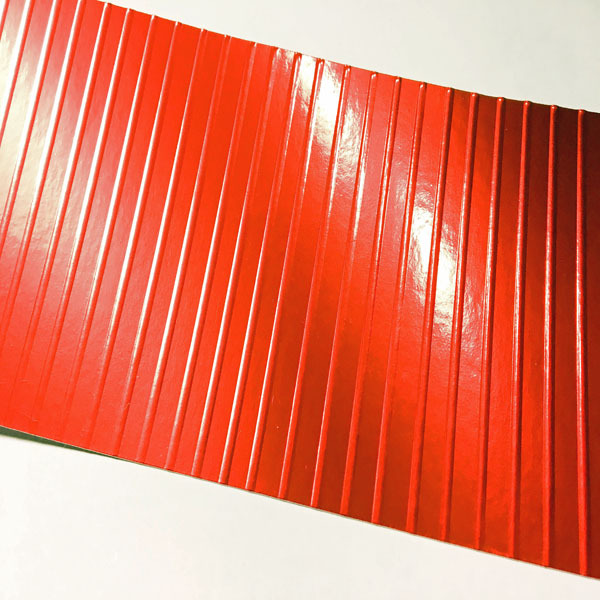 This Metallic Foil Board “ribbon” hides the seam.) 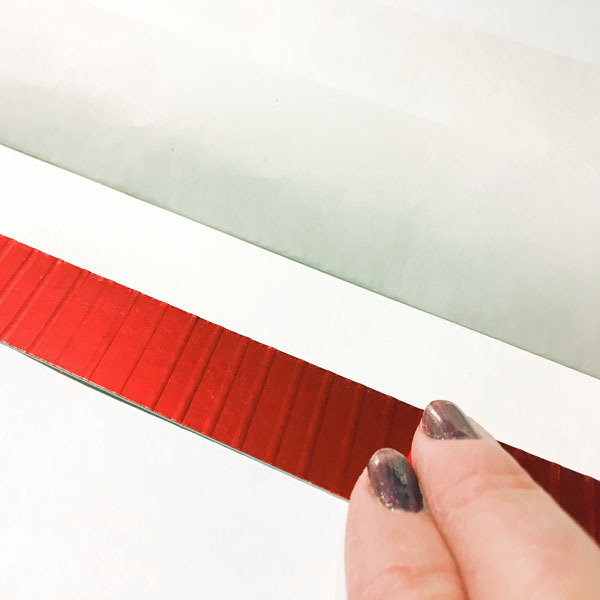 Cut a piece of red Metallic Foil Board large enough to cut strips to go around the box. Working on the back, vertically score every ¼”. Then cut into strips. 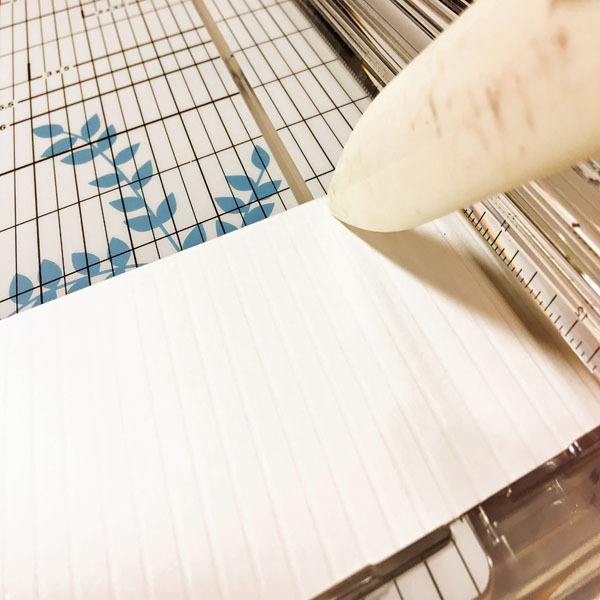 Working one at a time, use Artist-tac sheet to place adhesive on the upper 2/3 of each strip, then adhere the strip to the lid, letting lower 1/3 overhang below the edge of the lid. 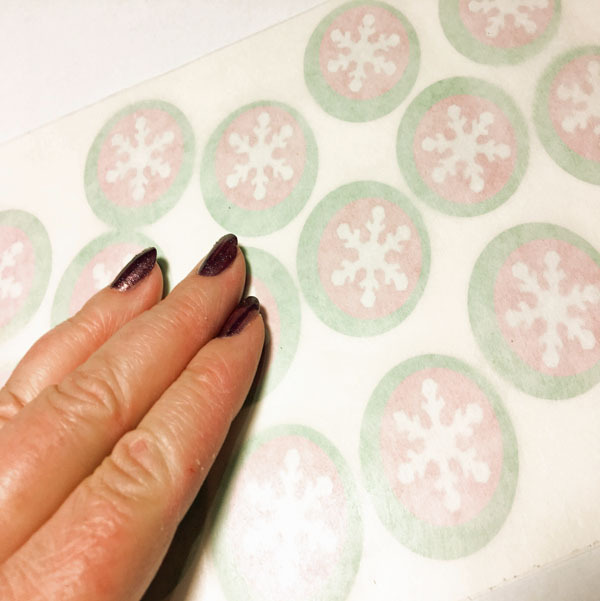 Overlap strips at sides. 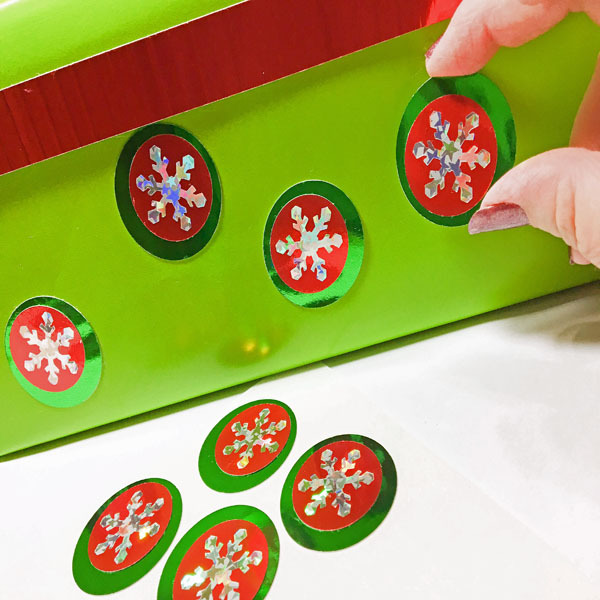 Add your snowflake dots to the sides and top of the box. 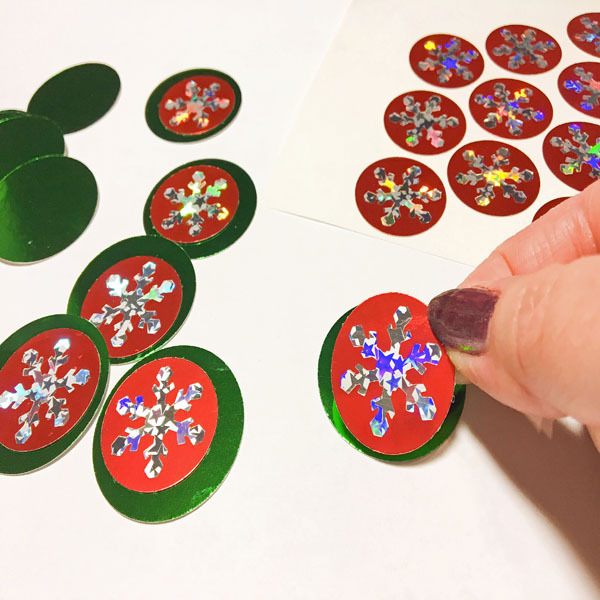 Punch 1” circles from red Metallic Foil Board, 7/8” circles from green Metallic Foil Board and 5/8” circles from Silver Sequin Funky Film. 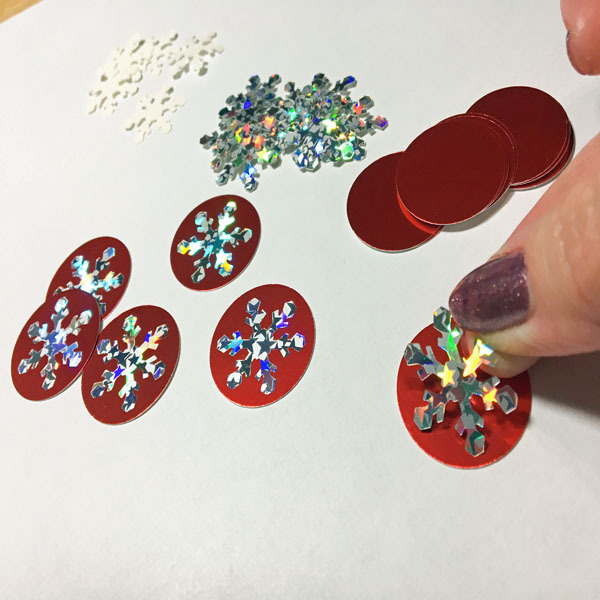 Assemble circle pieces as before and adhere finished dots to sides and top of the box. 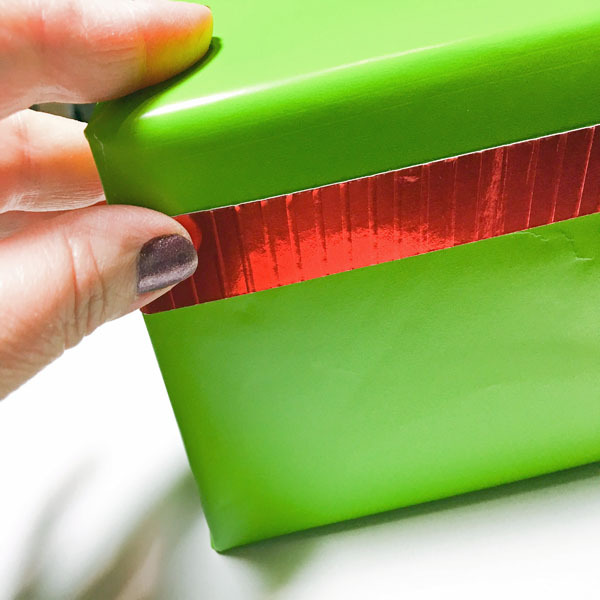 Make a strip of “ribbon” from red Metallic Foil Board long enough to wrap around your box, scoring as before; adhere to box using Artist Tac. 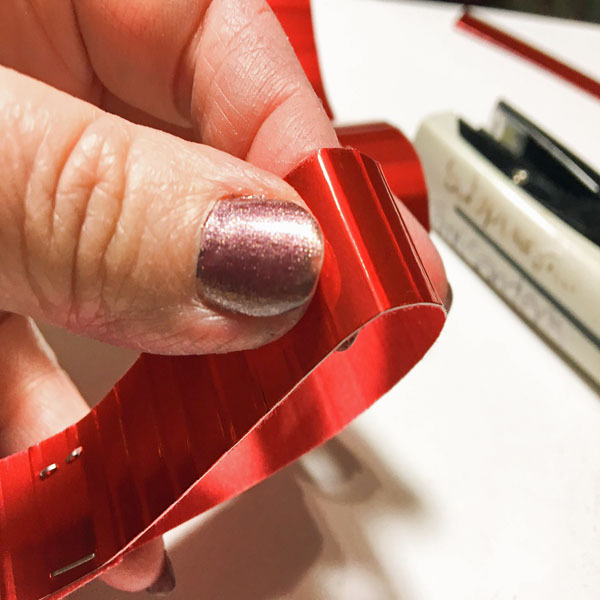 Cut a piece of red Metallic Foil Board large enough to make 3 loops for a bow as well as a smaller loop for the center. 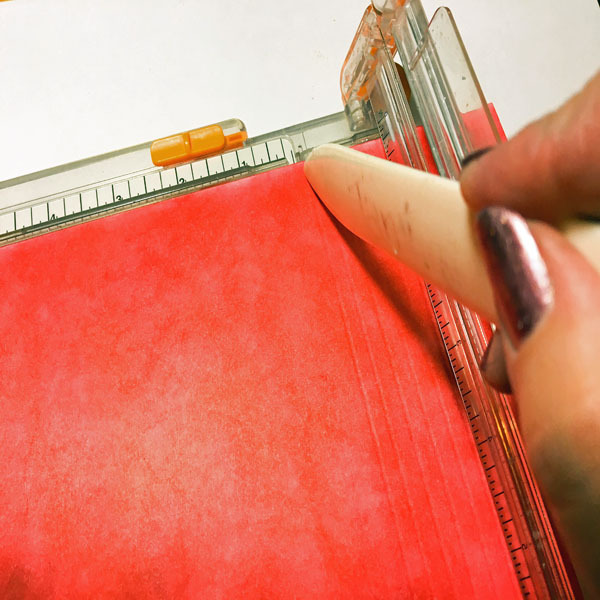 Optional: You could ink the back of the red Metallic Foil Board with red ink using the Stylus & Tip so that the inside of the loops wouldn’t be white. Working on the back, vertically score every ¼”. Then cut into strips for loops and center loop. 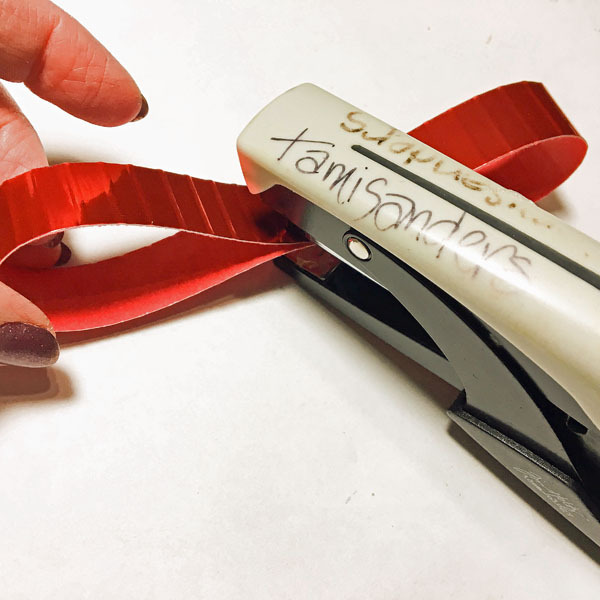 Form a figure 8 with each of the 3 longer strips, overlapping ends and staple at the center to form bow loops. 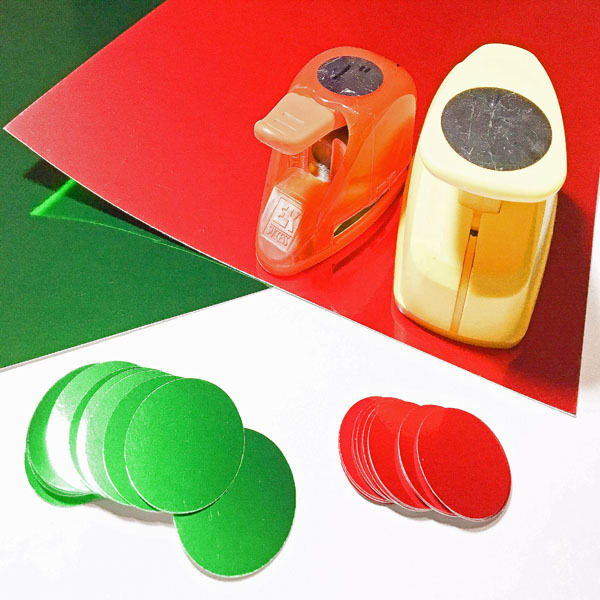 Form smaller strip in a circle, overlap ends and staple. 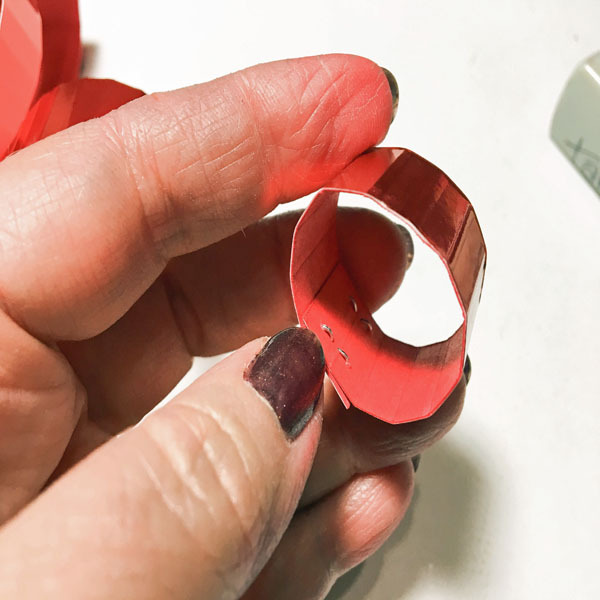 Bend loops at score lines to make more pliable and to add dimension. 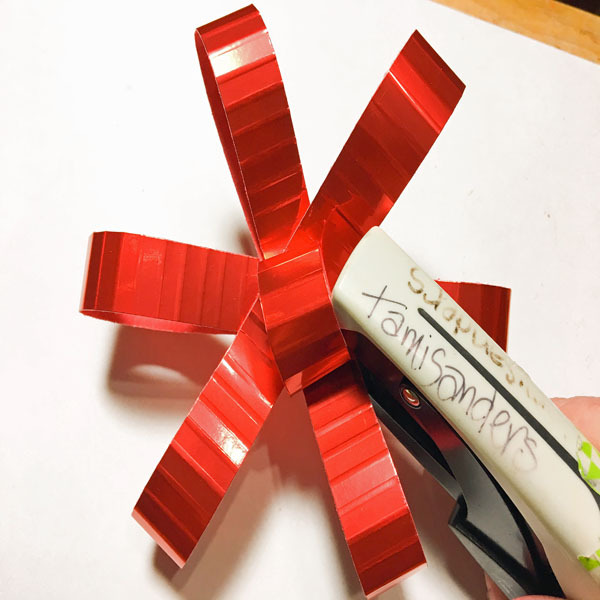 To assemble bow, form star with large loops, add a small loop at center then staple through all pieces. 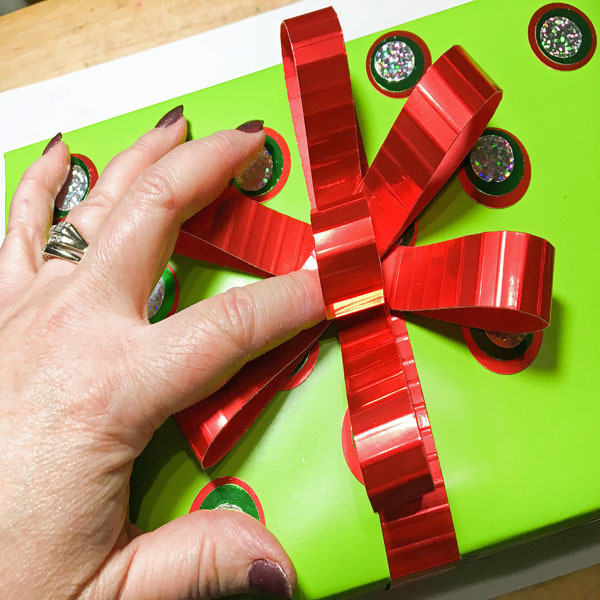 Adhere bow to box using 3-in-1 Glue. 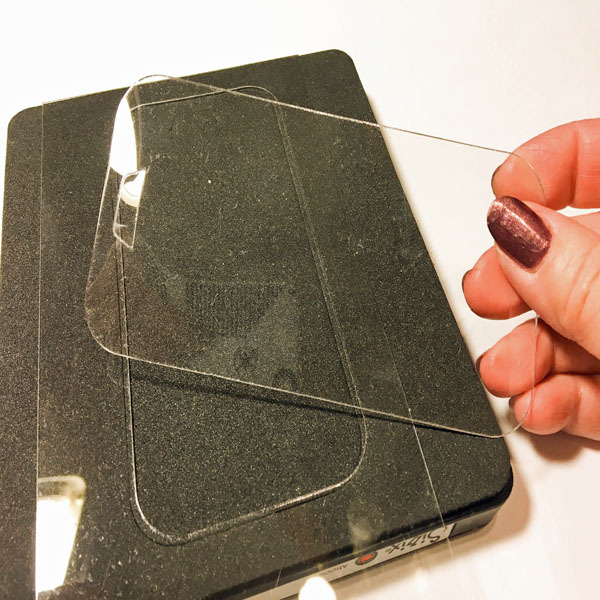 Die-cut a piece of Clear Craft Plastic with Bookmark Die; remove blue protective films from front and back of plastic after die-cutting. 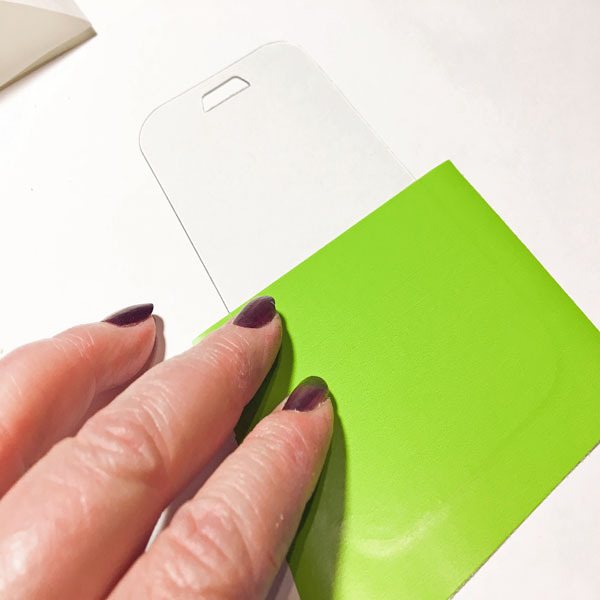 Apply adhesive to lower half of the tag using Artist Tac sheet. 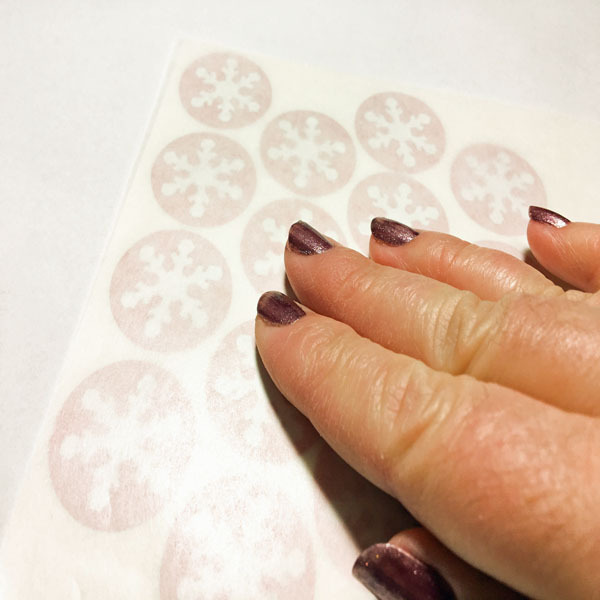 Cover the adhesive on the tag with a piece of gift wrap paper and trim to fit. 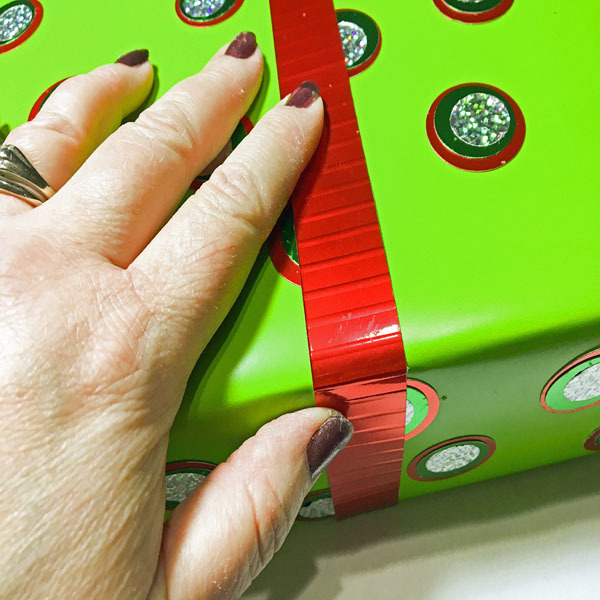 Cut a 1/4″ strip of leftover scored red Metallic Foil Board and adhere to top of gift wrap. 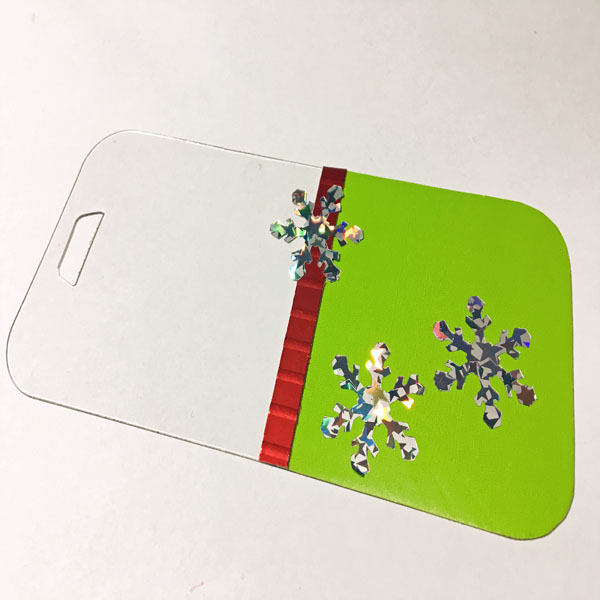 Punch 3 snowflakes from Mini Star Funky Film and adhere to tag. 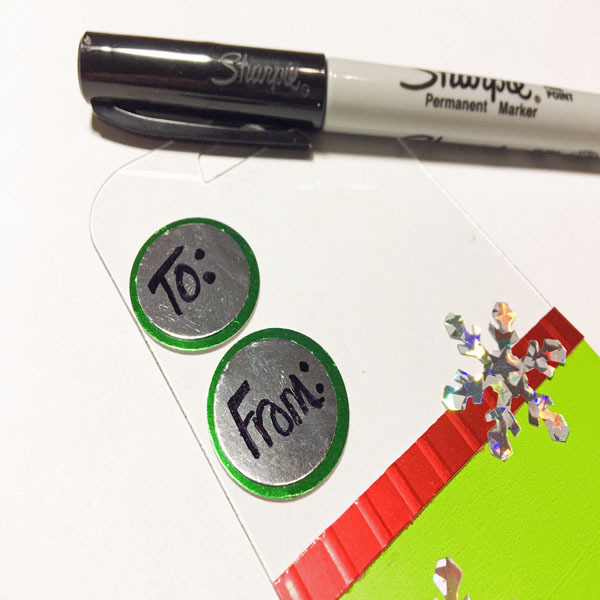 Punch 2 – 1” circles from green Metallic Foil Board and 2 – 7/8” circles from silver, use Artist Tac to adhere silver circles to green ones and to also adhere circles to tag. Write “To:” and “From: “in the circles. 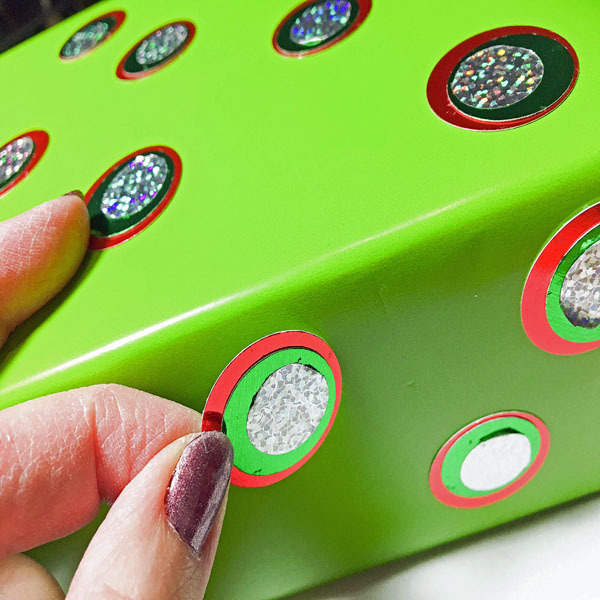 Note: Sizes of punches, number of punches pieces and widths of trim will depend on the sizes of your boxes.